In almost all nations, whether it’s society be highly industrialized or primarily agrarian, the standard childhood experience includes a basic kindergarten thru 12th grade education. However, the Philippines is one of the few countries on Earth that still only supports a system that reaches only to the 10th grade. Although this allows 16 year-old graduates to enter the full-time work force or pursue higher education at a much younger age than their foreign counterparts, it has created barriers to the rising generations both at home and abroad. To counter this, current Pres. 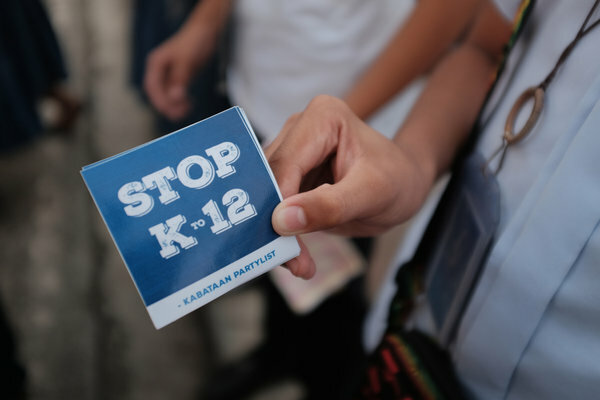 Benigno S. Aquino III has championed landmark legislation that passed in 2012 that will eventually bring the education system up to the international standard of 12 full years of schooling before sending out the new generation. Despite his well-meaning intentions, Pres. Aquino has received sharp criticism from the public about the new system. But it’s not because people are against giving more education to the youth; rather, it is because most believe the government is incapable of supporting the transition in the long run. As the Philippines is still a developing nation burdened with over a quarter of it’s 98 million people living in poverty, coupled with rapid population growth, it is understandable that many people are not confident in their government’s ability to do so. Many see the addition of the 11th and 12th grades as only keeping the students in school longer, which means parents who are already struggling to support them have to wait two more years until they can help with the family finances. Other critics of the system, especially students, are fearing the overcrowding of the public schools, claiming that the educational instruction would be substandard as potential class sizes will top 50 students per teacher. With these views in mind, protests across the countries have been increasingly more common as the implementation year draws near. Despite the push back coming from the public, Pres. Aquino has continually defended his position, stating that the change will be enormously beneficial to the rising generations as it will not only grant the Filipino education system accredited status abroad, but it will also prepare them to enter high-paying fields such as business and technology. Elvin Uy, a Philippine education official, stated the government’s desire: “We want to give our young citizens a better chance at a decent life,” he said. But it is hard for the public to see the future benefits when they are confronted with the daily challenges of life. But whether beneficial or destructive, the answer will come in the next few years as students graduate and move into the wide world as adults. Divided They Stand: Battle Over the Noble Sanctuary and Our Pre-Conceptions. The Noble Sanctuary/Temple Mount hosts and is prone to some of the most frequent points of physical and rhetorical conflict in the world. Claimed by Jews and Arabs politically, it also serves to show the differentiation (or lack of) between religion and politics in both Judaism and Islam. The Temple Mount in Judaism is held to have been the site where the dust gathered to create the first human, Adam, was taken. It is also widely believed by Judaism as the site where Issac was bound by Abraham and offered to God. Both Jewish temples in the past stood atop the Temple Mount (the first being debatable), by default making it the site where the Holy of Holies once stood – God’s divine presence being believed to still retain its glory under Rabbinical law. It is 600 years after the destruction of the second temple by the Roman Empire that Sunni Muslims construct the al-Aqsa Mosque and Dome of the Rock on the plot still left empty following the Roman’s destruction of the Temple. After all, this is the site where Muhammad ascended to heaven – thus making it the third holiest site in Islam. The conflict has increased since Israel declared its independence in 1948, and more so after its occupation (such a Middle-Eastern term for it, yes) of East Jerusalem following the 1967 6-Day War. Today, that conflict continues as Palestinians forcefully reject non-Muslims access to the Temple Mount for worship. This is an added provocation to conflict in the past couple of weeks, and more so as the resistance began on Rosh Hashana – the Jewish New Year. Mahmoud Abbas – Palestinian Authority President – has allegedly supported the conflict through his website (in Arabic). However, he has also made calls to Pope Francis briefing him on “ongoing Israeli aggression in occupied East Jerusalem, and particularly against Al-Aqsa Mosque.” While Palestinian and Jewish sympathies are evident from the Security Council’s unanimous statement three days ago (not a binding resolution), Israel continues to condemn violence against non-Muslims coming through the Mughrabi Gate, which serves as the access point for non-Muslim visitors. Jewish and Muslim authorities administering the site discourages organized Jewish worship within the occupied Temple Mount; Jewish worship is confined to the adjacent Western Wall. While both sides have political claims to the Temple Mount – backed by religious convictions – members of the Church of Jesus Christ of Latter-Day Saints occasionally tend to see Israel as the manifestation of prophesies of old – the herald of the end times. While this is true (Ex: Ezra Taft Benson) – and Judaism also believes the Noble Sanctuary shall once again give way to a third Temple on the Mount – I would throw in a word in favor of religious tolerance and awareness of Israeli policies. Obviously, blank checks given to imperfect states result in a lack of understanding and loss of control as citizens fail to adequately voice their opinions in favor or against government policies (blank check was referencing Austria-Hungary and Germany pre-WWI). While the State of Israel may very well be the literal gathering of Judah, that is no reason to (in a blank-check context) trust in what its ministers and officials believe to be just; but this holds true for all institutions, including our own. In conclusion, remaining aware of both sides of any conflict is advisable, alongside the willingness to accept where and when your point of view can stand to be strengthened from the perspective of another. It has been notices by many that President Obama has been actively avoiding going to Kenya during his seven years in office. It has been a political trial for Obama, who has had to produce a birth certificate and other evidence to prove that he was not born in Kenya, where his father is from. 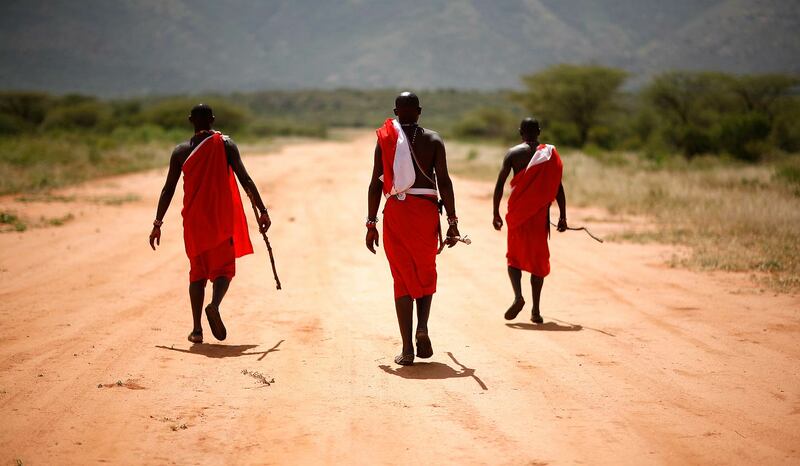 There have also been a difficult geopolitical situations between Kenya and the United States over the last decade. After all of these years though, Obama has decided to make a visit. While on his trip there, he will be co-hosting a forum on entrepreneurship to aid in the economic development in countries in Africa. The White House, in making the announcement, decided to present the visit as a “powerful symbol of America’s longstanding ties to Africa as represented by its African-American president.” Though this may seem like a bit of a political game, this has been done before with President Kennedy and his visit to Ireland in 1963 as he celebrated Irish-American connections. It is interesting to note the history that President Obama has with his father though, who passed in a car accident in 1982. Mr. Obama Sr., who was originally born in Kenya, came to the United States to go the University of Hawaii to obtain a better education, met Ann Dunham, President Obama’s mother. There the two were married and President Obama was born. Shortly after that though, Obama Sr. moved back to Kenya and him and Ann Dunham divorced each other. President Obama did not see his father more than a handful of times during his life. Some speculate that this may be part of the reason why he has yet to visit Kenya. The ethics of editing genes in plants, animals and humans has been a long debate among scientists since the idea of it was first conceived. Though having this ability would be able to cure many disorders and diseases, it could also lead to many other complications or changes that will effect the future generations of the world. Since 2012, a new technology has been invented that allows scientists to more easily than ever before alter the DNA and has done so on many mice, sheep, monkeys and other animals. Scientists are confident that the same procedures would work on humans as well. One of the ethical arguments is not that parents and doctors will be able to change hair or eye color, but the fact that they will have the power to make humans live longer, be stronger and more healthy, and have the capacity to be more intelligent. It raises the most fundamental of issues about how we are going to view out humanity in the future and whether we are going to take the dramatic step of modifying our own germline and in a sense take control of our genetic destiny, which raises enormous peril for humanity. In many European countries and in the United States, scientists are highly regulated and have to have their plan, goals and purposes mapped out and approved before performing this alteration on any human, but what scientists are most worried about are scientists in other countries that do not have to follow such rules and regulations. 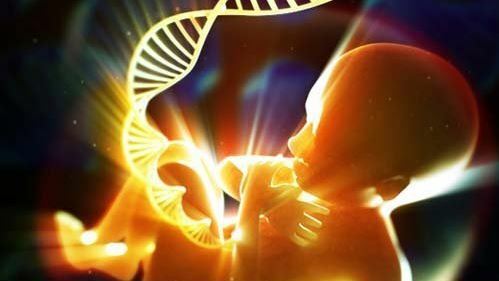 Though the U.S. or other regulated countries cannot legally stop other countries from doing these procedures on humans, it has been known before to stop the world from genetic alterations. In 1975, there was a call from the science community to halt a certain experiment that also involved modifying DNA and, even without a governing body to watch over the global affairs of science, scientists around the world stopped working with that experiment. The hope of many scientists today is that this same thing will occur. The real question still lies within the hearts of all man kind; “Is this ethical or not?”. 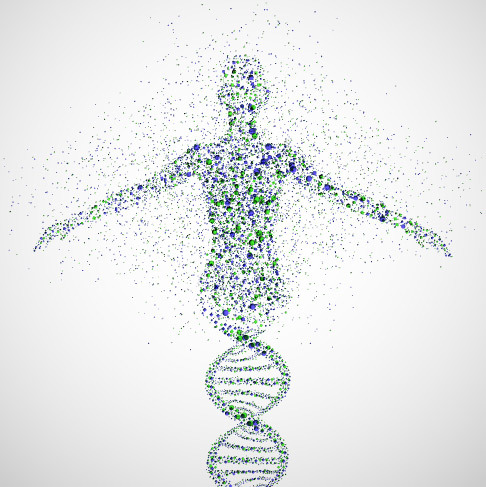 The procedure is still not perfect and often the bacteria they use to make deletions and additions to the DNA has been known to cut out the wrong spots. Is this a risk that some are willing to take to save their children from disorders though? And if it is perfected, is the world ready for a future generation that could possibly outperform the current generation in every measure? Space in all of its vast darkness and glimmering stars is full of countless mysteries and questions that the world of science is trying to explain and answer. One giant leap into this abyss of unlearned knowledge would be to find life on other planets. Another would be to inhabit another world. But as for now scientists and astronomers will just have to suffice with sending out telescopes and probes into the black sea of space. 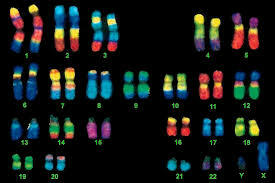 Recently there has been several discoveries that have made the dream of finding life a few steps closer. Water has been found on several moons that orbit planets beyond Mars. Some astronomers have given up on looking at Mar’s dusty, dry lands, saying that there is more hope of better discoveries on these moons that have water. After spending so many years going after Mars, which is so dry and so bereft of organics and so plain dead, it’s wonderful to go to the outer solar system and find water, water everywhere. In the article, two moons are specifically mentioned to having water. 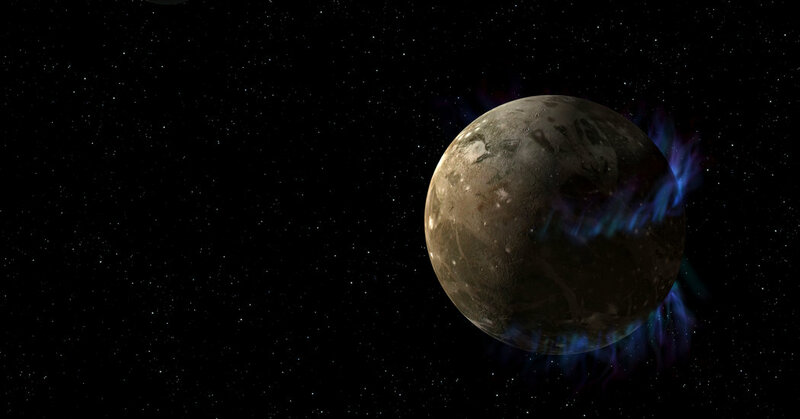 The first is called Ganymede, which is the largest of Jupiter’s moons. It is speculated that large oceans exist underneath its icy exterior. This planet would been hard to inhabit because of the ice covering the bodies of water, but the second planet looks more promising. Enceladus, a moon that orbits Saturn, is one of the moons that looks more promising. Its rocky core’s temperature has been calculated at over 194 degrees Fahrenheit, which would allow for water to exist in a liquid state in parts of the moon. Ice is known to be very prevalent in that area due to the Saturn’s rings and it is very possible that traces of life exist on this moon. There is an ongoing and never ending debate orbiting the questions that astronomers have had for decades about the planet Mars and its history. 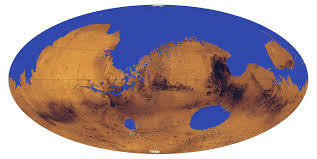 New evidences have been found as of late that there was more water on Mars than originally thought. This body of water would have been located in the northern hemisphere of the planet and would have covered nearly as much of the planet as the Earth’s Arctic ocean, which is larger than scientists have previously estimated. This claim that there was more water there than previously thought supports the theory that Mars was able to inhabit life when the body of water was previously there. The science and chemistry behind the discovery is that the world, much like earth, has two forms of water. One form is H20, which earth is very familiar with. The second is HDO. the “D” stands for deuterium, which simply implies that there is one more neutron in the atom that that of normal H20. Earth is said to contain this molecule as well, but have less in quantity than its neighboring planet Mars, having found about eight times as much deuterium in Mar’s atmosphere. Our results tell us there had to be a northern ocean. Where did the water all go then? Well, besides the frozen icecap on top of the planet, it has been theorized that most of the water has evaporated and become too light to stay on the planet’s surface and simply was lost into space. Some even say that the presence of meteors and other celestial objects crashing down on the planet had an effect of the water escaping into space as well. There is still much debate over whether this theory is true with many believers and non-believers. One of the crucial arguments as of late is how the body of water was able to survive without evaporating or getting frozen with such a light atmosphere. Scientists state that it is hard to know what sustained the ocean because they have no way of really knowing what the atmosphere was like while the body of water was there. It has been found though that channels that used to carry water lead from the southern part of the world to the northern, possibly denoting that the water moved from one side of the planet to the other. All of these evidences suggest that at one point Mars did have an atmosphere that was able to sustain large bodies of water and plausibly life. The Second Great Space Race, Or Just a Dream of Other Life? Are their other worlds that we can inhabit in our galaxy? Is there other life in the universe? Will those of earth ever explore this last frontier in person? There have been many that have spent their nights staring up at the sky with wonder as they ask themselves these questions. 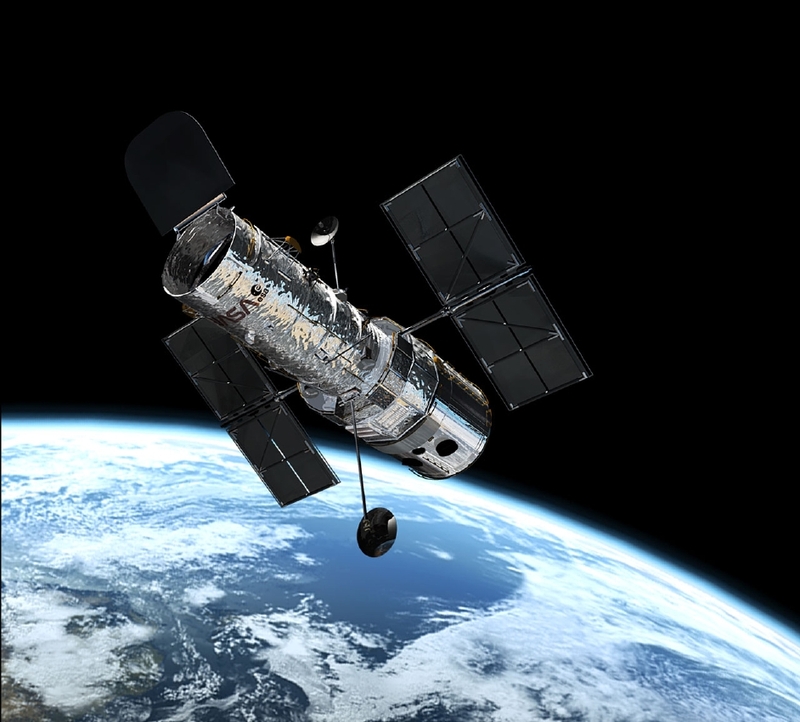 Astronomers and universities are desperately seeking better spyglasses and instruments to peek into the vast expanse of darkness and observe what else may be in this endless black sea. As it turns out, many planets have been sighted that may be similar to earth. In the article, “So Many Earth-Like Planets, So Few Telescopes” (Overbye, Dennis, The New York Times, A12 1/7/2015) there are several mentions of the need for more telescopes with greater abilities to sight these planets. 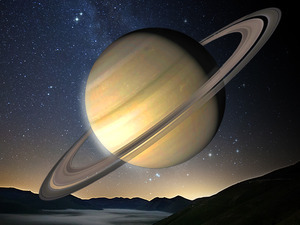 The problem that astronomers are facing is that, though they have spotted just over 4,000 planets that have potential to be earth-like and possibly inhabitable, they cannot know for sure without the use of more telescopes that are improved from the ones currently in space. They also have a desire to simply find more possible earth like planets that are closer to our solar system. The debate for more telescopes could be endless though. Will sending giant tubes of metal really have any benefit for the inhabitants of earth? Is the possibility of ever reaching one of these planets that is light-years away too small or insignificant to matter? Even if society is able to envision, invent and launch a manned craft to one of these planets for investigation, it would take a substantial amount of time and would it even be worth our resources? These are all questions that NASA and several universities have been facing and work around to find funding to launch new telescopes. Should they be able to launch more, finding such planets will take less time and they will have better observations.